Can’t make it to our beautiful Florida coast this February? Finish breast cancer with us, anywhere in the world and earn your very own DONNA Finisher’s Medal! Run 13.1 or 26.2 miles between October 1 and March 31 anywhere in the world, raise $150 for The DONNA Foundation, share your results and photos with us on Facebook or Twitter – and you’ll receive our famous Finisher’s Medal and Finisher’s Shirt right to your door. We are excited to partner again with Outside Interactive to offer their crazy cool Virtual Runner application with the DONNA Half Marathon interactive course. Shot on race day in 2015, you’ll feel like you’re running with us as you treadmill your way to finish breast cancer with your iPad or Android tablet. Virtual racers who complete the race using the Virtual Runner application will be included in our OFFICIAL RESULTS, captured with the technology for a new Virtual Runner category. 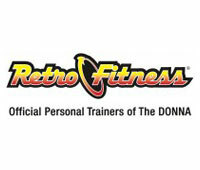 Like all DONNA events, all net proceeds benefit The DONNA Foundation. *A minimum fundraising of $150 is required. A credit card is required for registration, and will be charged the difference if $150 is not raised by March 31. You will be notified prior to any charges. Register online for the Virtual Half Marathon or Full Marathon. Create your online fundraising account from our fundraising portal and raise your minimum $150 for the cause. Get super excited when your personalized race bib arrives in your inbox! Run 13.1 or 26.2 miles between October 1 and March 31 anywhere! Post your results and a photo with your race bib on our Facebook page or tweet using the hashtag #rundonnavirtual! That’s not required, but super fun. Enjoy the Virtual Runner Anytime and Train on it Leading up to Race Day. On race day, enter your activation code allowing Virtual Runner to track your progress. Virtual Runner will allow you to control the pace of the video to match your exact treadmill speed. Upon completion of the course run at YOUR pace, the Virtual Runner app will transmit your finishing time to us for our official results, and you will receive your official finisher’s certificate via email. Raise $150 for breast cancer research at Mayo Clinic and for the critical financial needs of those with breast cancer through The Donna Foundation. You have until March 31 to raise funds. Get REALLY super excited when your DONNA medal and finisher’s shirt arrives in your mailbox in April! Congratulations on your finish. What if I can’t run 13.1 or 26.2 miles? You don’t have to run the entire 13.1 or 26.2 miles at once. That’s the beauty of a virtual race. You have six months to complete this event (October – March), so you may spread the miles out. Is my time an official finish time of the DONNA? YES! If using the Virtual Runner Application. Otherwise – Your time will not be considered an official time for DONNA, nor will your time be published in results. This is all about the personal achievement of being active, earning a beautiful medal, and of course ending breast cancer! What is the deadline to raise my minimum $150? You must meet the minimum $150 fundraising requirements on or before March 31. Participants not meeting the minimum requirement on this date will be charged the difference on the credit card used for registration. When does registration close? Registration closes February 9. May I complete the race with a group or at another race event? Of course! Run DONNA Anywhere. I am a DONNA Streaker. Will the virtual event allow me to keep my ‘streak’? Yes. You will be able to maintain your streaker status completing the virtual event.